Ethel, that’s my mother’s mother’s name. 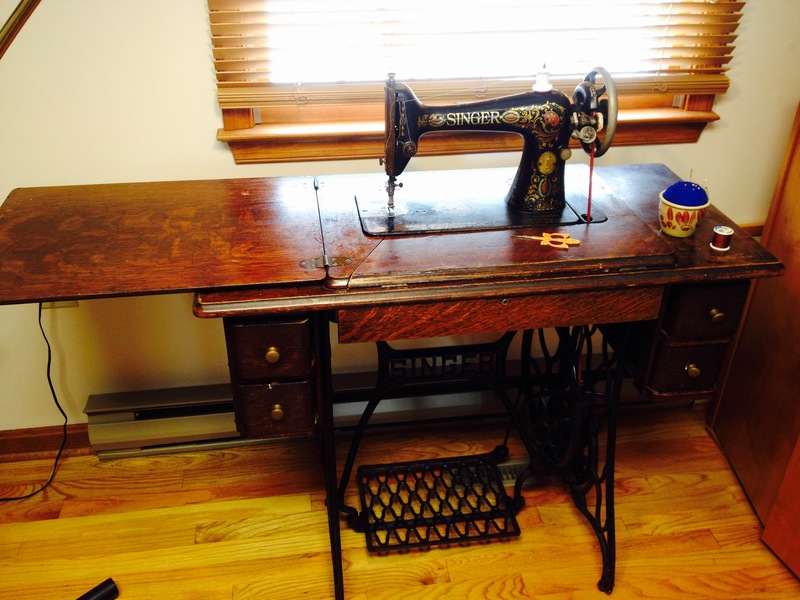 I am privileged to have my grandmother’s well-loved treadle sewing machine. Her serial number was issued in 1910 so she’s over 100 years old. I used to sew on her when I was in high school, about 50 years ago! She’s a Singer 66 back-clamper with “red eye” decals. Recently I bought an adapter so I could use side clamp feet as well. I decided to use Ethel in making the quilt in my last post. She stitched a beautiful, even stitch. 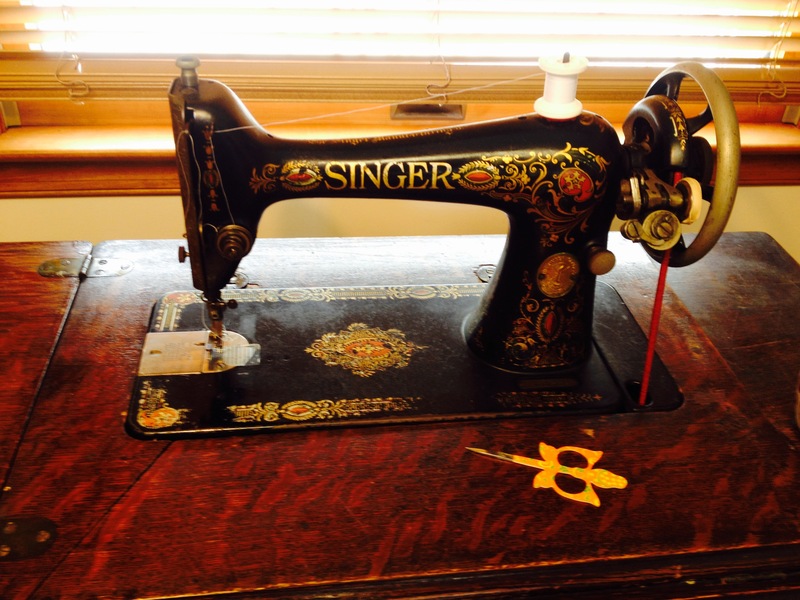 There’s a quiet rhythm to using a treadle sewing machine that’s very relaxing. There’s also the connection to my grandmother and my mother who both used this machine, and probably my aunts as well. It was a pleasant experience that I will probably repeat. Of course, I will not neglect my modern computerized machines! I enjoy sewing on all of them. Along with collecting vintage sewing machines I like to actually use them. Recently, with encouragement from the online Quiltalong group, I made a quilt top using my grandmother’s treadle machine. This is the quilt that I showed a corner of in my last post. 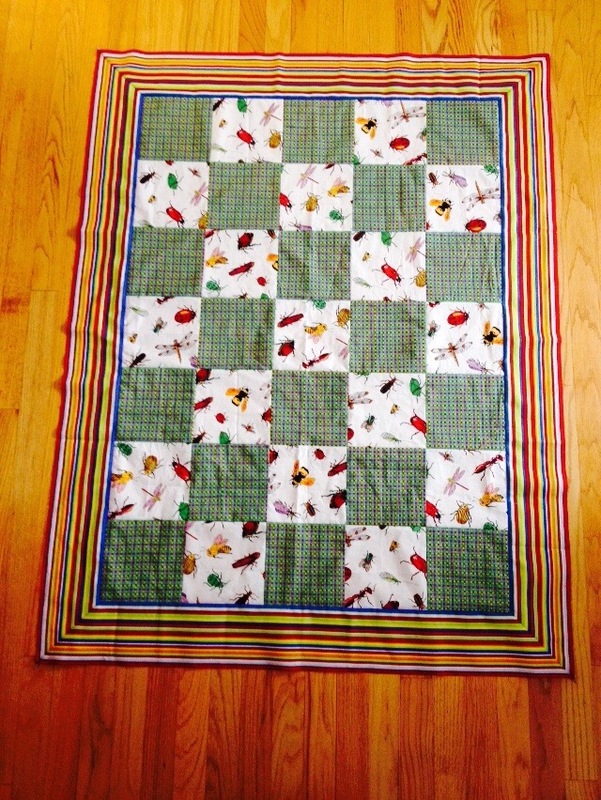 It’s an easy piece made with 6 1/2″ squares. As I stitched I learned how to control the direction and speed of the treadle. (If it goes the wrong direction the thread breaks.) What a relaxing process! The quilt center had to wait a few weeks until I stumbled across this great striped fabric for the borders. Next step is to find a backing and quilt the layers together.